MASJID Jami 'Nurul Hasanah in Pengawu, Tatanga Sub-District, Palu City, Central Sulawesi Province (Sulteng) which was damaged by the September 28 2018 earthquake, on Wednesday (13/02/19) the construction was restarted marked with the groundbreaking Acting Governor of Aceh, Ir Nova Iriansyah accompanied by Regent of Pidi District of Aceh Province, Regent of Bener Meriah Province of Aceh, Mayor of Sabang Province of Aceh, Regional Secretary of Central Sulawesi Province Drs.Moh Hidayat and Assistant I for Government Affairs, Kesra Palu City representing Mayor of Palu. 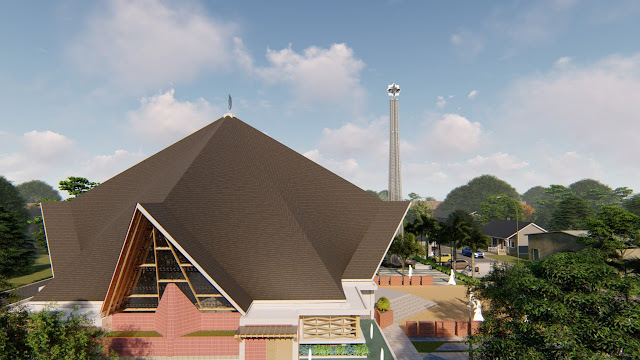 With a budget of Rp.3.3 billion which is contributed by the community and the government of Aceh Darusallam (NAD) Nangro, Jami Mosque ’Nurul Hasanah Aceh, the new name of this mosque was built with a design or a blend of Tambi and Aceh traditional house architecture. 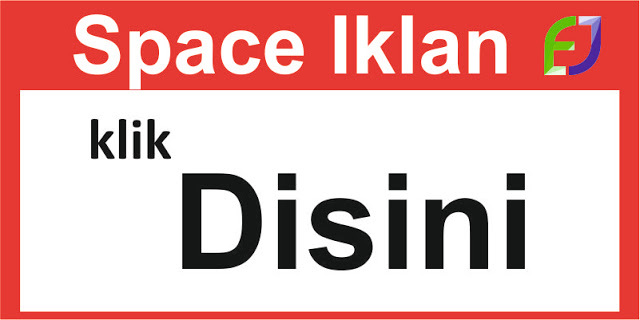 According to the mosque development consultant Dr. Ing. Widyo Wijadnoko's structure is made to resemble two proportions which become one into one large building, and the building structure made in foreign terms is paraboloid hypernolid or the pipe structure was made for the first time in Indonesia. "We only use a one-layer structure with straight rods that form a curved structure in the middle. 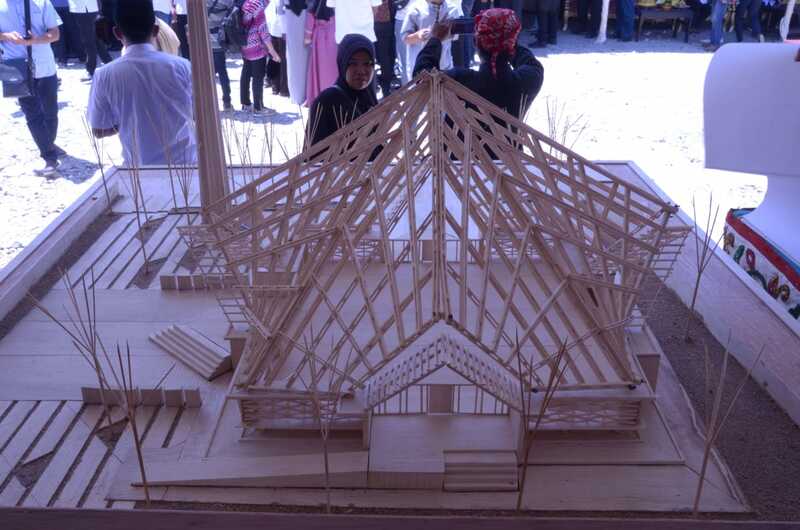 With the structure of a building like this we hope to become a religious tourism object and become a blessing for the surrounding environment, "said this ITB architecture lecturer. This 20 × 20 square meter mosque building is estimated to accommodate 420 worshipers. Acting Governor of Aceh Governor Nova Iriansyah targets this mosque to be completed before Ramadan next year (2020) and can be utilized by the community in the month of Ramadan. "This mosque will later use selected wood in Central Sulawesi. Choosing wood because it is considered to be more earthquake resistant and has been recommended by experts or architects, "said Nova Iriansyah. 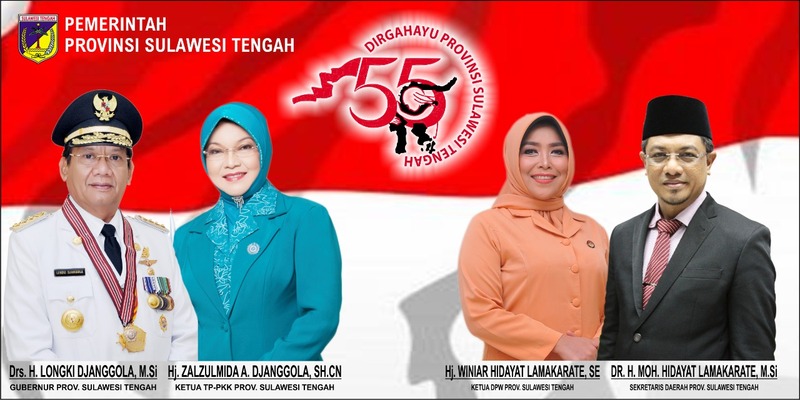 Central Sulawesi and Aceh, said Nova Iriansyah, are located in disaster-prone areas or better known as ring of fire. However, there is no need to be traumatized by this condition, on the contrary, it must react in a wise manner through increasing knowledge in the field of disaster, broadening our horizons about disaster mitigation. "Thus, we know how to effectively respond to disasters, mitigate them so that the effects of losses from such disasters can be minimized," he explained. 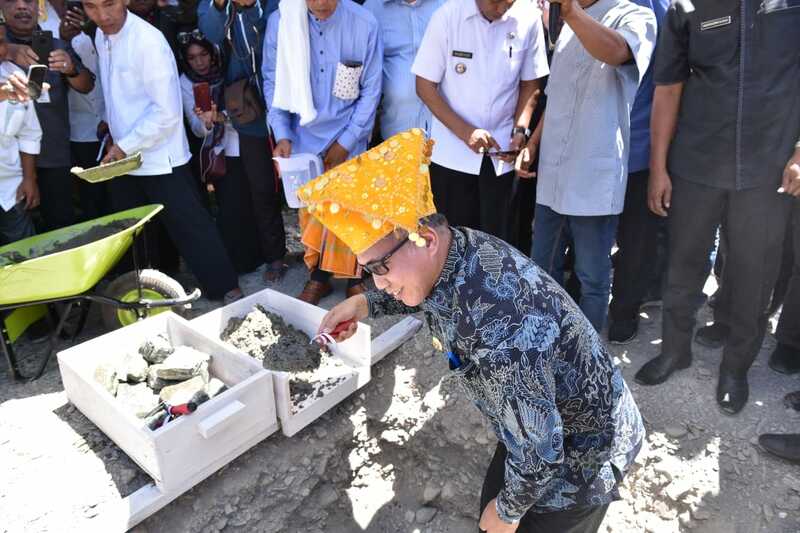 Secretary of Central Sulawesi Province Hidayat Lamakarate expressed his respect and gratitude from the Governor of Central Sulawesi, Longki Djanggola. "Hopefully with this assistance, it will further accelerate the revival of the community in the affected areas. "Also more diligent in worshiping in the mosque," said Hidayat Lamakarate.